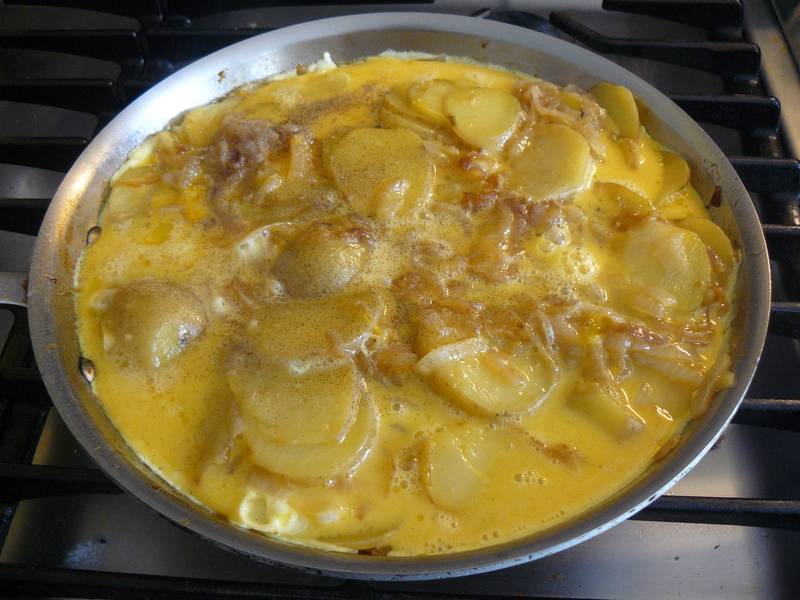 It’s late morning and I’ve decided to make a fritatta for lunch with just the most basic ingredients…onions, potatoes, and eggs. The decision is accompanied by the odd thought that I am to use the smaller 10″ omelette skillet and fill it completely. It is a very clear directive! 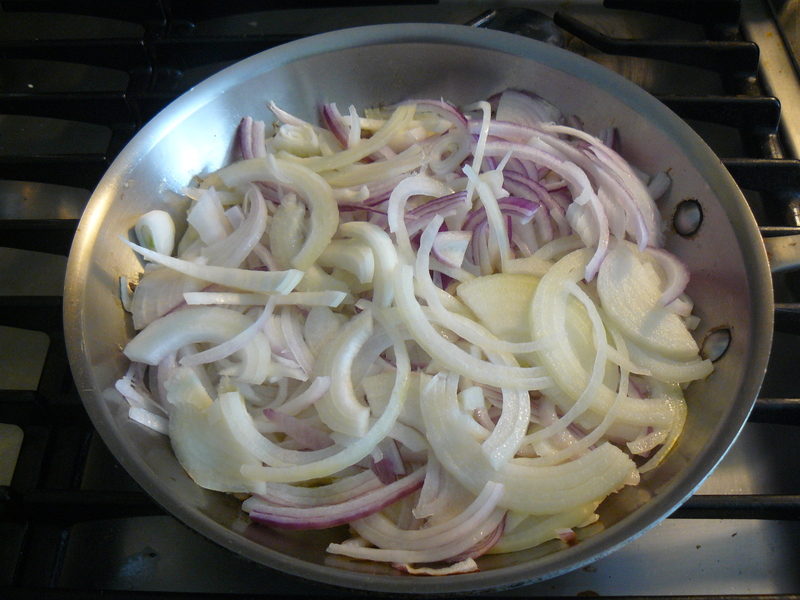 Not sure of the significance, I go about thinly slicing two large onions, a red one and a yellow one, cover the bottom of the pan with olive oil and turn the heat onto medium high. 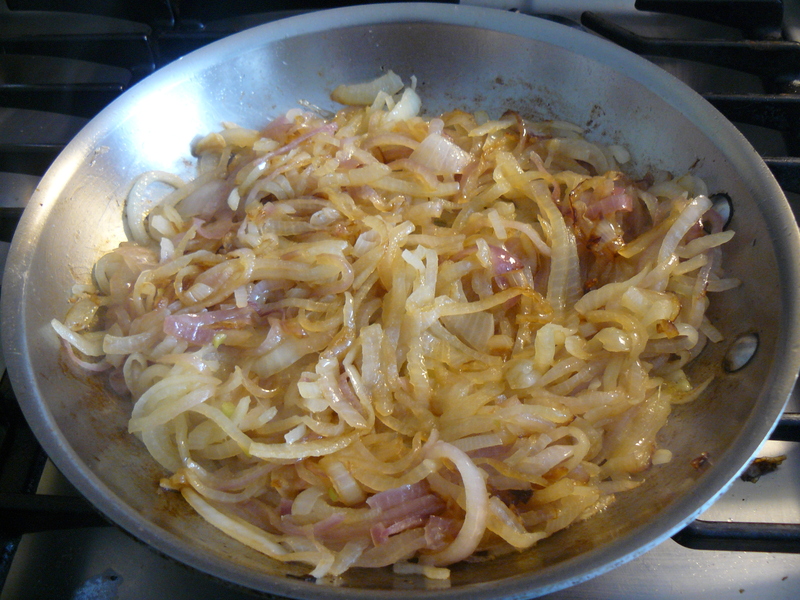 The onions just about fill the pan, a perfect fit for this first step of slowly carmelizing onions. I wonder if it will be too many for the pan once the onions cook down, trust it will be just right and begin to make thin slices of each. 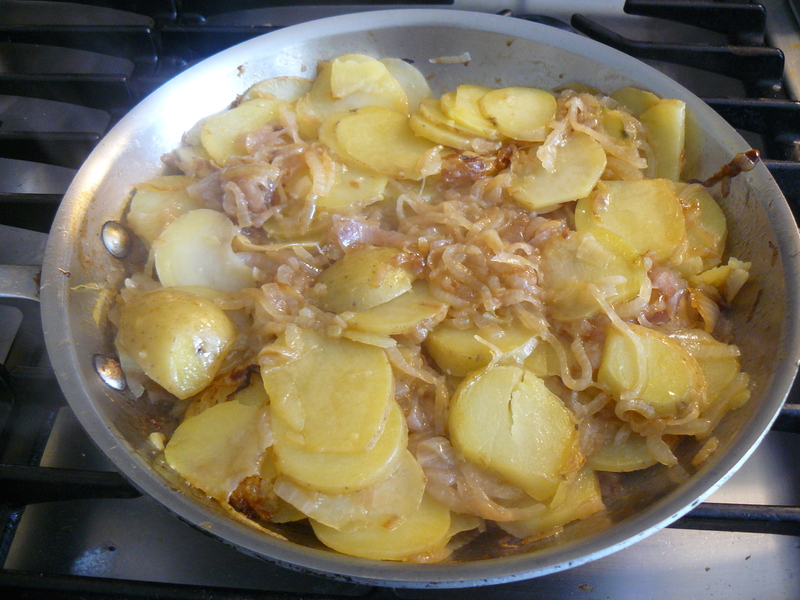 The pan is now about half full of beautifully carmelized onions which I sprinkle with some salt, and then layer the potatoes on top. Another perfect fit! Hmmmm. 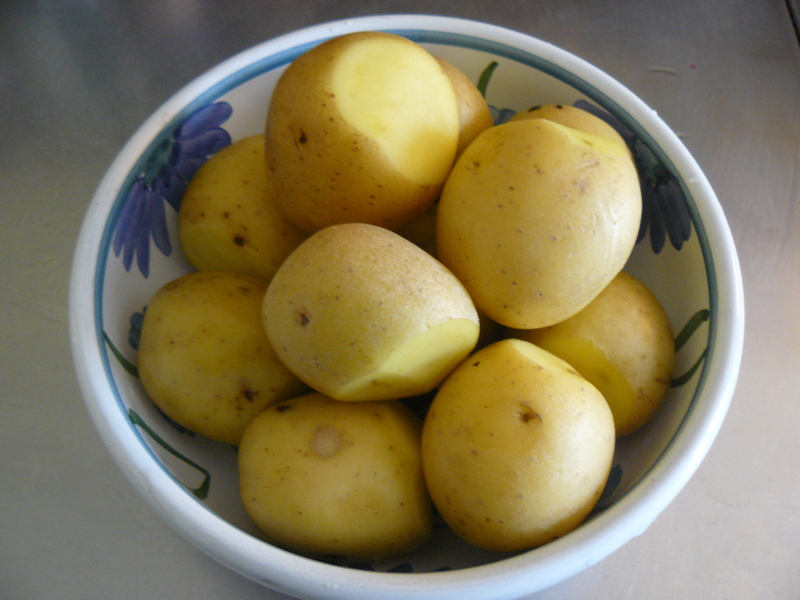 I now consider the short time it will take for the potatoes to become soft and settle in the pan, add a tad of water to the pan, and cover. 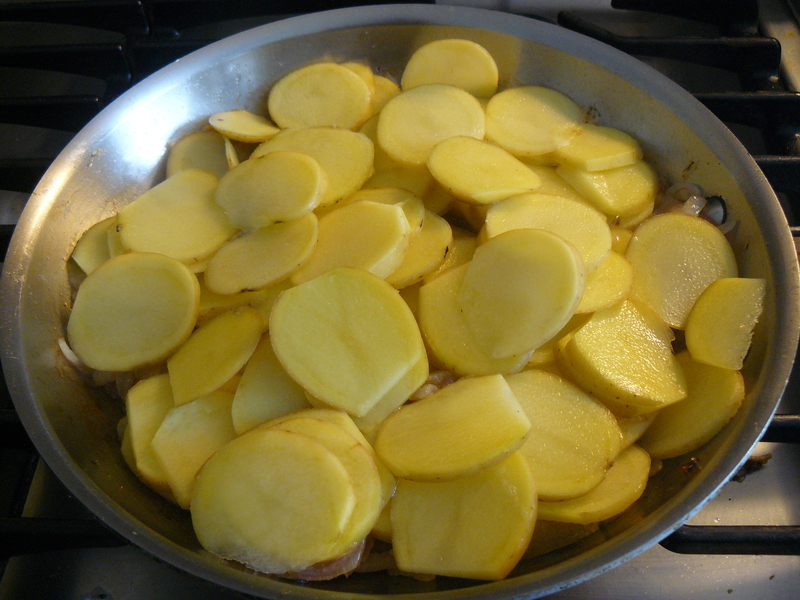 After about five minutes take the cover off, gently mix the onions and potatoes in the pan, and let whatever liquid has released from the potatoes evaporate. 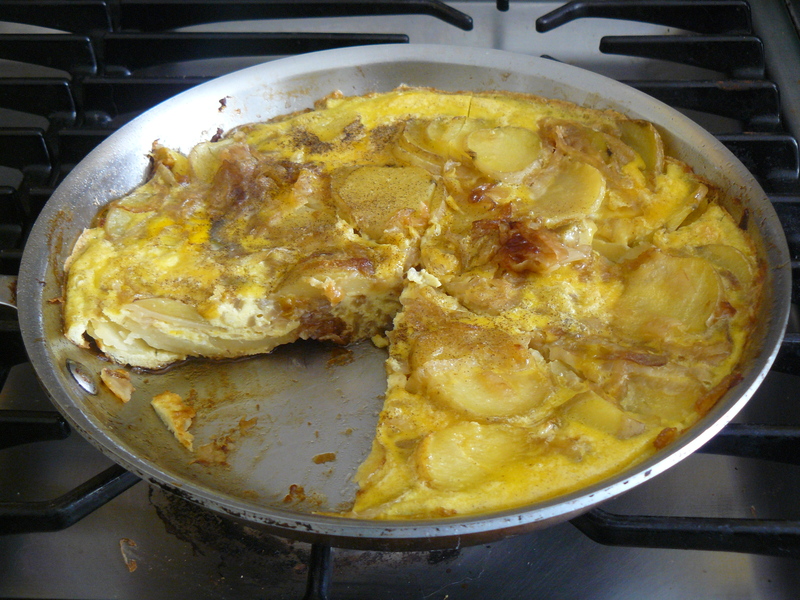 While the frittata is baking I consider, with anticipation, the final result. And realize I am imagining what the form of it will be fully baked, and most importantly, wondering, will it fill the pan? Smile. What will it look like? Will it look good? Wow. Such a contrast to how my anticipation usually manifests in thinly veiled enthusiasm for the smells and tastes of what is being made. Which reminds me of the delicate balance between what something looks like and what it actually feels like, that perhaps what it IS can be found in the space between the two? Now I am remembering trying on clothes during a rare shopping trip last weekend. I’m not a good clothes shopper on my own. I think I know what I like but have found that I do much better with a guide bringing me things to try, and am grateful for my dear friend Mindy playing the part of shopping muse with me. At the end of the day I come home with bagfuls of things that I know I will wear all the time, things I will not hesitate to pull out of the drawer or closet to put on because of their perfect fit. I don’t think I picked out any of these things initially. Everything I tried on that I picked myself seemed wrong, didn’t look or feel the way I know a perfect fit can feel. And most everything Mindy brought to me did! I feel resistance to each thing she shows me, then have to consciously move through it to get to the place of accepting it and trying it on and discovering perfect fit after perfect fit. I am relishing the feeling of Ahhhhh, wow, this feels good…I feel good….’I’ look good….and I had no idea!! Smile. 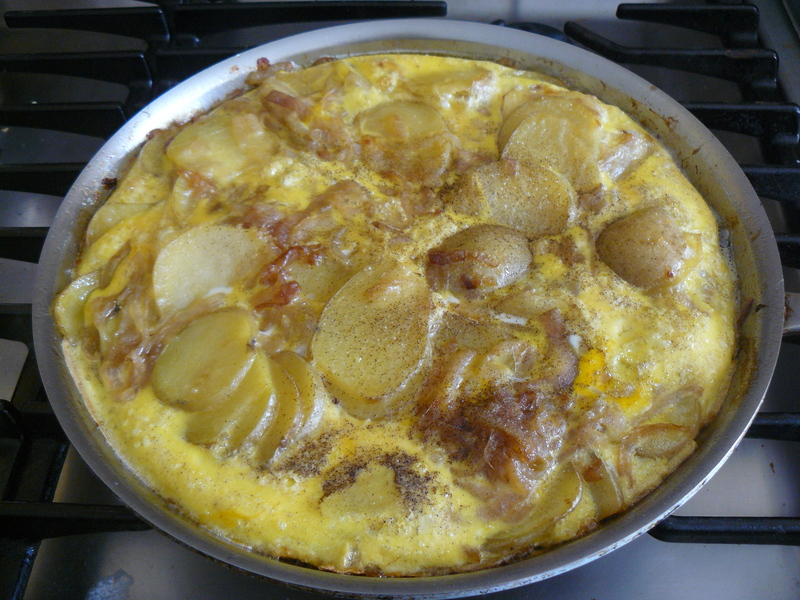 And as many times as I have made this dish, I am never prepared for the jolt of joy felt from the transformation I see in the pan, the puffed airy surface gently enfolding and revealing edges of potato and onion, the entire surface sizzling and bubbling…. Kathy, I read this delicious post yesterday and just re-read this morning. I love it on the usual two levels. 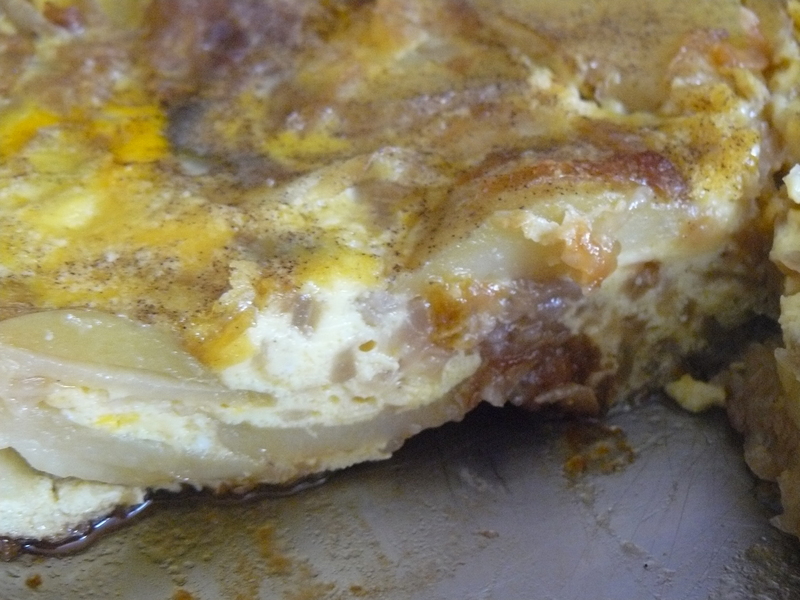 First, the dish itself — earthy, warm, inviting. And then your musings that take us outside the kitchen and into the subtle realms. What I appreciate most today is leaving the image (expectation?) behind to experience the feeling of something.